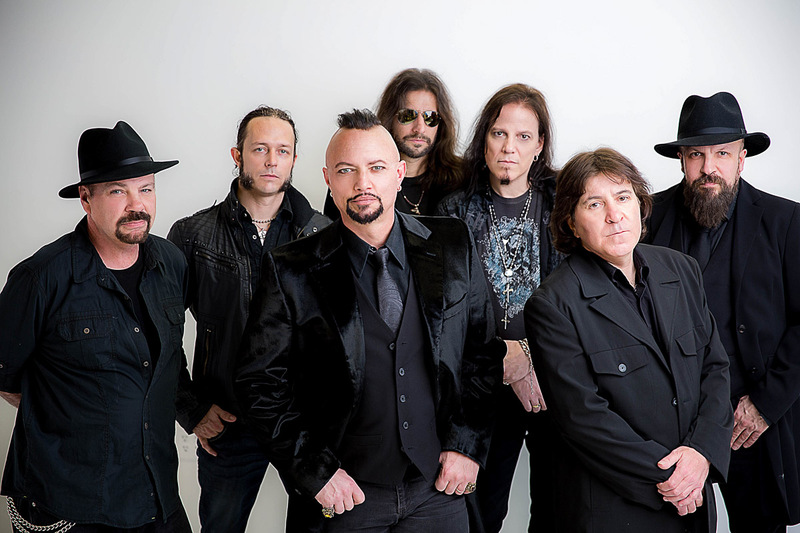 We had the opportunity to chat with the former Queensrÿche frontman about his current band, Operation:Mindcrime, and the upcoming release of Resurrection, the second part of a concept trilogy. Okay, straight in. You have the second part of a 3 album trilogy, Resurrection, coming out. Can you outline briefly the concept so far, and explain where Resurrection actually moves it on? Yeah, the first album, The Key, came out last year, and it is kind of the introduction of the story, introducing us to the characters and a bit of the conflict that happens. It is left sort of unresolved, as to the story on the first album. The second album, Resurrection, picks up where the first album left off, and it is really kind of an exhibit of the lead character experiencing betrayal and a near death experience, and how he fights his way back from that. He regroups and gathers his energy to continue what he is doing. The third part, of course, comes out next year. Has that actually been recorded yet, the third part? Yeah, I recorded all of them together, and then I wanted to release them in a 3-year increment of time. That works pretty well because you can release it and tour a little bit on the record, and then release the next one and tour a little bit, you know? So do you envisage a time where you play all three parts completely live? Maybe over one night? Well, I think that when all 3 albums are released, I would like to do a limited tour playing the entire trilogy. Maybe I will record it as well, that would be really fun. I played a few songs from the new album on my last tour, and I will put a few new ones on this upcoming tour as well. I see you are doing some dates in the states under the Trinity project with another couple of singers.It includes Ripper Owens and Blaze Bailey Who came up with that idea? Yeah, that came about because of the recording of the Resurrection album. I had a song called “Taking on the World” and I was working on it with Ripper (we are friends), and I said “Hey, how would you like to sing that song that you have in the works right now?” He sang on it, I really liked it, and I had this idea to bring in another singer, so we had Blaze sing harmony and that kind of thing, and we started talking, and he was singing on the song as well. The three of us had such a good time performing on the song that he decided that we should try to tour together, so we booked some dates, most of them in America in November, and we are going to do a show on tour together, which I am really looking forward to. In fact, they are in town right now. We did a video yesterday for the song “Taking on the World,” and had a great time. The three of us are… It is funny, when we get together, a certain kind of energy happens, you know? Yeah, a musical and personal connection. We have a good time, so we are really looking forward to the tour. What about material that you are going to be playing on the shows, will that be dipping into the back catalogues of all three of you? Yeah, doing songs with the bands that they were with. Sounds like a great night for rock fans is guaranteed. Judas Priest, Iron Maiden material, and then of course, I am going to be doing some Queensrÿche material. Getting back to your Resurrection album which is due out in the UK and Europe in September, I am just wondering if the touring plans that you have for the Resurrection album will include Europe? Yes. Certainly they will include Europe. I am actually coming over to Germany next month for a record release party. I am doing a few radio appearances there, then I come back over at the end of November, beginning of December to start the tour. I hope to find out a little bit about yourself as a person. Looking back, can you recall your first introduction to music? Was it maybe a song on the radio, your parent’s record collection, something like that? I was about 9 years old when I really discovered music for the first time. It was actually a song called “Somebody to Love” by Jefferson Airplane. Great track from a very talented band. I heard that song and decided “Oh my God, I have got to get involved in music somehow.” I asked my parents to get me a guitar, because I really fell in love with Paul Kantner’s guitar sound that he had on that song. They said they would not get me a guitar, but they would get me piano lessons for a year. That really started my musical education. I had piano lessons, and that led me to school orchestra, in which I played the trumpet, then graduated to keyboards after that. Played in a number of bands throughout high school, playing keyboards and singing, and then professionally with Queensrÿche in 1981. What were you like as a pupil at school, and the thirst for knowledge? Was that something that interested you, or were you not very academically inclined? No, I really liked school. I liked reading and I liked learning. I was not a stellar student, in terms of grades and things like that. I was more interested in the actual learning rather than learning for a grade, you know? I passed all of my courses and that kind of thing, but I was not, I guess, a type of student that goes for that grade point average, and I was always really interested in math. I like learning and I like taking a variety of different courses and learning different things. Are you a glass half full or a glass half empty sort of person? Do you see the good in everything? I think that actually I am kind of a glass half empty person, because I have learned over the years to kind of adjust my thinking. I think it is important to keep a positive attitude and find the good in things, it is easy to become pessimistic. So I just train myself to be a little bit of both. Probably my marriage and my family, I think. Personal things more than something from your musical career? I am very happily married to a very wonderful woman; we have been married for 20 years. We have 5 daughters, I have 6 grand kids, I am very proud of them. What in your life, then, would you regret most? I do not really have regrets. I think that life is incredible, and it is what you make it. I think that if you try to make it the best you can, it will be that. You control your own destiny and create the world in which you live, so I do not have any regrets, really. Obviously, we are living in an age of technology, a digital age, age of the internet, where people do not have any secrets. Do you think that your fans actually know the real Geoff Tate? Well, the only way that you can really get to know somebody is knowing them. By actually spending time with them, speaking with them, and that kind of thing. What people read on the internet or see is very subjective, it is very subjective to whoever is writing the piece. I think the best way is to actually spend time with a person is the only way to get to know them, so no, I guess they do not really know the real me unless they spend time with me. Is criticism something that still bothers you, or is it something that goes with the business? Do you take it personally, does it hurt sometimes when you read certain things? When I read certain things about me? People are being negative or being overly critical? On the internet, for example? No, not really. Frankly, I do not pay attention. I think that when people start criticizing art, it is a bit of a waste of time in my mind. It is a waste of time to critique art, because art is such a personal thing. You either relate to a person’s art or you do not. There is nothing that you can really say about it other than “I like it” or “I do not like it,” you know? If somebody does not like it, it does not mean anything to me, it does not hurt my feelings. If they like it, well, great. Come see a show, hang out, enjoy the music with everybody else who is there, and that is cool. If you do not, then you do not. Oh gosh. I would say invest in Microsoft [laughs]. Obviously you have a very long and very proud musical legacy, but I just wondered if there were any of the records that you personally would now disown? Ah, no. Not really. I think your musical journey, again, is a very personal one. It is a journey that only you can take. It is actually quite fascinating to look at an artist’s personal musical journey and see where they have started and where they have gone, where they are coming from. I think that is a fantastic thing to witness. Do you still have hopes, dreams, and goals? Yeah, I am looking forward to my retirement years, and spending more time with my family. I have kind of already lived my dream quite often, almost every day. I get to write music, which I love. I get to perform, which I love. I get to travel, which I love. I get to meet interesting people and have wonderful conversations with people. I get to go to amazing restaurants, and visit historical sites. I am pretty blessed, and I feel very fortunate. I think that I would like to just keep continuing on doing those things for the rest of my life, really. Outside of music, I understand that you have an interest in wine. You have got your own wine brand. Do you have any other interests or hobbies? Obviously, you mentioned your 5 kids which must take up a lot of time. Well, I do enjoy the wine. I have my own wine brand, Insania is what it is called. It takes up quite a bit of my time. I have a real interest in motorcycles. I like to ride motorcycles, I just rode out to a bike rally in South Dakota last week, I had a wonderful time out there and rode back with some friends. I like fishing quite a bit. I like hiking and mountain climbing still, I have been doing that since I was a kid. I like things that are outdoors, activities that are outdoors specifically. Quite a variety of interests there then? If the roles were reversed and you could sit down and interview somebody, maybe a particular inspiration or icon, who would you like to interview? Probably somebody very controversial, like perhaps Jesus. That would be interesting. To hear the real words out of his mouth. That is great. Geoff, thank you so much for chatting with me, it has been an absolute pleasure. I have followed your musical career for many years, and thank you very much. My pleasure. Loved to get the opportunity to speak with you, and thank you very much for the interview.